A couple of weeks before Passover I purchased FFOZ’s Vine of David Haggadah and I have studied it with great interest. This Haggadah is beautifully designed and contains a lot of valuable suggestions on the messianic celebration of Passover within a format that is faithful to the traditional Seder and its liturgical rubrics as developed in Jewish tradition. My study of this Haggadah brought a problem to mind, however, that is common to messianic Haggadot in general and which doesn’t seem to be easily solvable. It is a problem hardly acknowledged in messianic circles, but which in my opinion is important enough to deserve a fundamental discussion. The problem I’m referring to is about the inclusion of “Holy Communion”, or the Lord’s Supper, in the Passover Seder. All the messianic Haggadot I have seen have — in a more or less explicit manner — the Lord’s Supper included in the Seder proceedings. And from the viewpoint, shared by many, which considers Yeshua’s Last Supper to have been a Passover Seder this inclusion seems only natural. The point which I want to make here, however, is that, independent from the historical question whether the Last Supper was in fact a Seder or not — and the whole controversy about it — there are perhaps theological and halachic difficulties involved in celebrating Yeshua’s Supper at the Seder. The problem I’m referring to is largely independent of the liturgical question whether the words of Yeshua: “this is my body, &c” are to be recited over the Matzah at the beginning of the Shulchan Orech section, at HaMotzi Matzah, or that they should specifically apply to the Afikoman and thus be recited at Tzafun. As to the cup, I have not noticed any controversy about it and all seem to agree that it is the third cup, the cup of thanksgiving, over which Yeshua’s words: “this is my blood &c” should be recited. The (unintended) consequence common to all messianic efforts to include the Lord’s Supper in the Seder liturgy seems to be the necessitated acceptance of what is commonly called “child communion”, since all participants in the Seder are to eat from the Matzah — both at HaMotzi Matzah and at Tzafun — and all are to drink from the third cup. This is the essential problem involved in including the Supper in the Seder. Although I’m fully prepared to investigate the question of child communion, and to consider the theological arguments in favour of it, for the time being I have my reservations, which are based on the following, more general ecclesiological considerations. To me the Assembly of Messiah is a community to which one belongs on the basis of faith, not on the basis of natural birth or education, and I think this fact has to be honoured and marked by the manner in which the typical rituals of this community are performed. These typical rituals are primarily water immersion in Yeshua’s name, (i.e. what is traditionally called “Baptism”) and the celebration of Yeshua’s Supper (i.e. 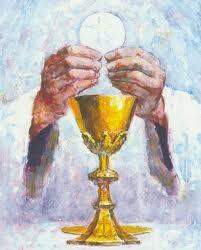 what is traditionally called “Holy Communion”). And it seems to me a matter of logic that the admission to the second ritual is dependent on the fact of having received the first. A person who isn’t baptized cannot partake of the Supper because he is not a recognized member of the community. And because Baptism is to be administered on the basis of personal faith, it has a status that is importantly different from many Torah rituals. One can easily detect this difference. For the sake of simplicity let us limit ourselves here to the Jewish context and take, as an example, a Jewish boy whose parents are believers in Messiah and members of a Torah observant messianic congregation. This boy is to receive Brit Milah on the eight day and Pidyon HaBen on the 31st — if he is the firstborn of his mother —, and to become Bar Mitzvah on his thirteenth birthday, simply because he is Jewish. These rituals are fixed by Torah laws and customs and wholly independent of the faith of the person who receives them. This is not so with Baptism. There is no fixed date set for it, and the only thing that matters about receiving it is a living faith and the personal decision to belong to Yeshua and follow him. As soon as a person is baptized he is a “professed” (i.e. confessing) member of Yeshua’s Assembly and admitted to the community meal of this Assembly, which is the Lord’s Supper. The celebration of the Supper always expresses — or at least should express — the unity of the Assembly as the mystical body of Messiah. This is an aspect of the Supper strongly present in Paul’s teachings on it (cf. I Cor. 10:17). Therefore it seems to me that children or youths who are not yet baptized should not be admitted to the Lord’s Supper. They cannot legitimately partake of the Supper before having made the personal decision to belong to Yeshua and having expressed this decision by the public act of water immersion in Yeshua’s name. That’s the reason why I think the Supper and the Seder cannot simply be held to be one and the same. They are essentially distinct celebrations. For it is clear that Jewish children should participate in the celebration of the Seder, eat the Matzah and drink of the cups, since in importants respects the Seder is about them and concentrates on the role of children. To deny them particular features of the celebration, e.g. the Afikoman or the third cup, requires convincing halachic grounds and does not seem, at the outset, to be a viable option. On the basis of the Torah Jewish children are fully entitled to partake, for instance, of the Afikoman, by which is signified the now absent Korban Pesach. Although I’m personally of the opinion that the historical Last Supper was not a Passover Seder — but was held shortly before Seder night, probably the night before — and also that the Apostle Paul doesn’t identify the two, this is not my main point. My point is about theological and liturgical systematics, not about history. The Assembly of Messiah, being a community of faith, is a distinct body within Israel as a nation to which one belongs by natural birth, and, as it is clear that one cannot administer Baptism in Yeshua’s name on the basis of natural birth or on a family basis, so too one cannot celebrate the Supper on this basis. The Supper and Baptism are rituals which can only be administered on the basis of a confession of personal faith. Yet it is also clear, apart from the historical question of the exact date of the institution of the Supper, that, from a liturgical viewpoint, there is no occasion more appropriate for its celebration than the Seder, which, by its rich symbolism, in many ways points to Messiah’s suffering and death and their salvific effects. That’s the reason why it is worth considering whether a solution for the problem of child communion can be found within the framework of the existing messianic practice of celebrating Yeshua’s Supper during the Seder night. While it is obvious that some changes would be required here and there in the traditional Seder procedures, and thus in the Haggadah, to make such a solution possible, it is no less obvious that any possible change should be carefully studied on its theological and halachic implications. It cannot be the intention of a messianic Haggadah to disregard the halachic background of the liturgical rubrics of the Seder, since the entire structure of the Seder is highly dependent on this background. Although some may bring up here that the Seder procedures in our days are almost completely a matter of the Oral Torah and rabbinic legislation and can be disregarded by Messianics, this seemingly impressive argument is really a very poor affair and potentially destructive of any orderly regulation of the celebration of Passover. If one wants to avoid chaos and arbitrariness, and preserve a minimum of consistency and uniformity in messianic celebrations, then there’s no other realistic option than to take recourse to rabbinic halachah. In cases where changes are necessary one has thus to proceed on the basis of a solid halachic analysis. Our problem can now be formulated as the following question: Is it possible to celebrate the Lord’s Supper at the Passover Seder without accepting the consequence of “child-communion”, and without destroying the basic halachic framework of the Seder precedures? I hope soon to investigate the possible answers (in Part II).